^ Sybil P. Parker,, ed (1994). 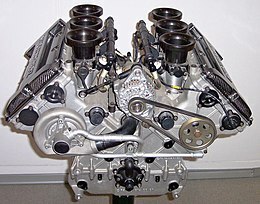 “Engine”. McGraw-Hill Concise Encyclopedia of Science and Technology (Third Edition ed.). McGraw-Hill, Inc.. pp. 714. ISBN 978-0070455603. ^ Sybil P. Parker,, ed (1994). “Prime mover”. McGraw-Hill Concise Encyclopedia of Science and Technology (Third Edition ed.). McGraw-Hill, Inc.. pp. 1498. ISBN 978-0070455603. 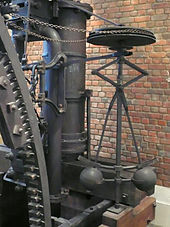 ^ Press, AIP, Associated (2007). Stylebook and Briefing on Media Law (42nd ed.). New York: Basic Books. pp. 84. ISBN 978-0-465-00489-8. ^ Hassan, Ahmad Y.. Transmission Of Islamic Engineering. http://www.history-science-technology.com/Articles/articles%2071.htm. ^ Hassan, Ahmad Y. (1976). Taqi al-Din and Arabic Mechanical Engineering, p. 34-35. Institute for the History of Arabic Science, University of Aleppo. ^ Emam, Mahmoud (2013). Experimental Investigations on a Standing-Wave Thermoacoustic Engine, M.Sc. Thesis,. Egypt: Cairo University. http://www.scribd.com/doc/147785416/Experimental-Investigations-on-a-Standing-Wave-Thermoacoustic-Engine#fullscreen 2013年9月26日閲覧。. ^ Hogan, C. Michael (September 1973). “Analysis of Highway Noise”. Journal of Water, Air, and Soil Pollution (Springer Verlag) 2 (3): 387–392. ISSN 0049-6979. http://www.springerlink.com/content/x1707075n815g604/ 2011年5月9日閲覧。.